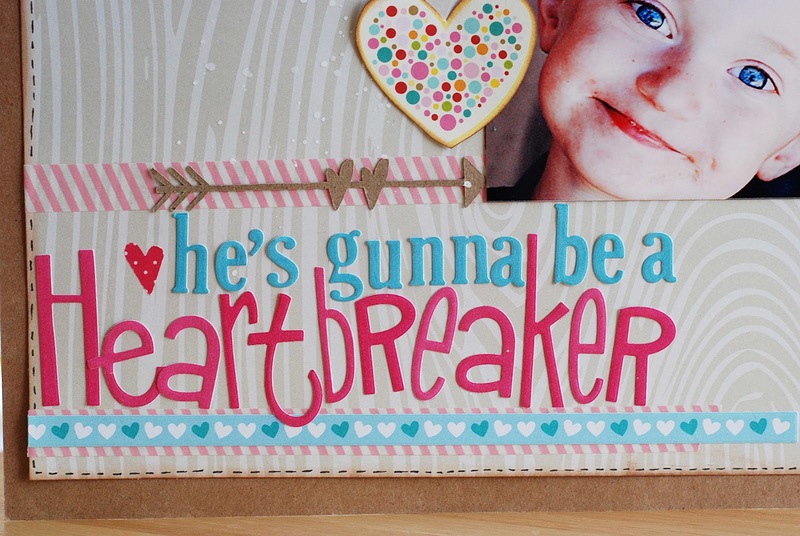 I am SO excited about the project I have to share with you today! For the last couple of days I've been playing with the Designer Edition of the Silhouette Software. I've had so much fun! I can't wait to show you what I've learned and what I created. For my first project I worked with the "knives" feature. 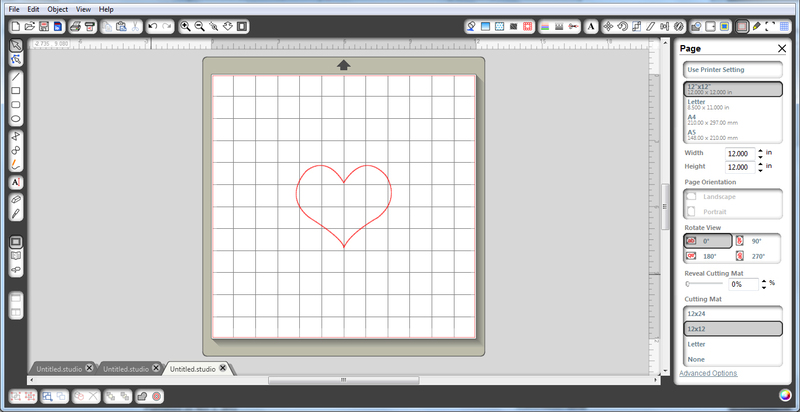 I started with THIS image from the Silhouette store. 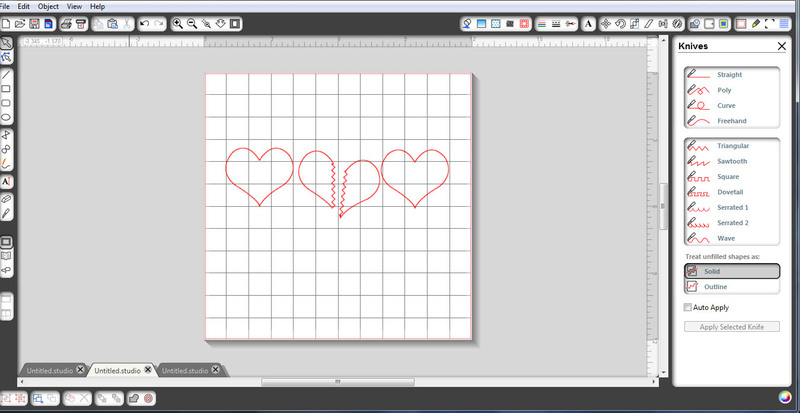 I copied this image three times and used the rulers that come on the top and right of the screen to measure so I got the hearts evenly spaced across the page. 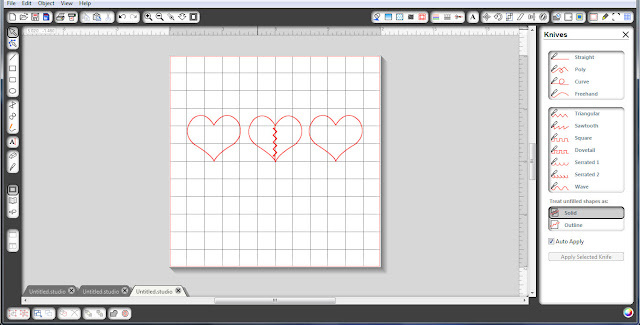 Then I used the knife feature and cut the middle heart in half using the triangular knife. 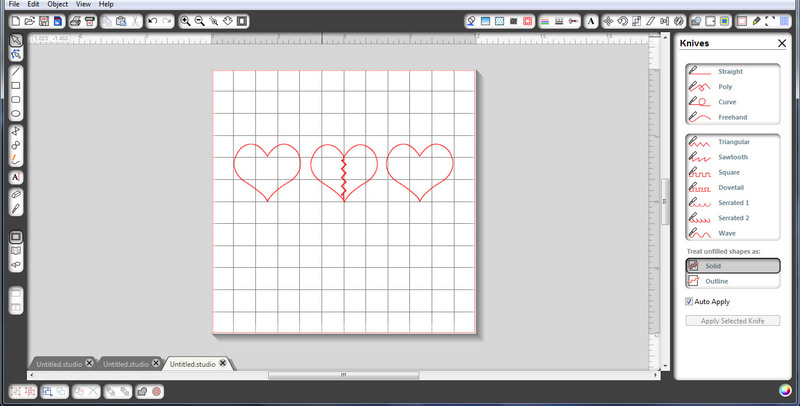 After that I moved the right half of the heart slightly to the right and down to make the heart look broken. 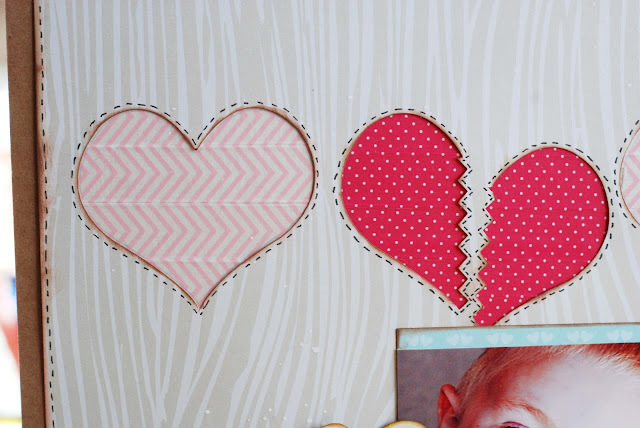 After I cut the image I used the negative part of the paper for my design. I used a pencil to trace hearts and covered the penciled in hearts with designer tape. 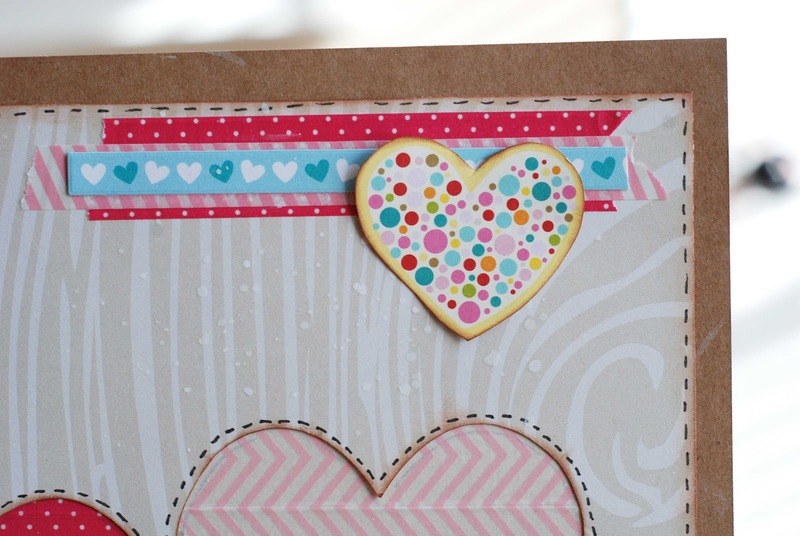 I then adhered my patterned paper on top of the cardstock to create my background. great layout Becki, the designer software is so fun!